Squash House Quilts: Good for a Laugh! 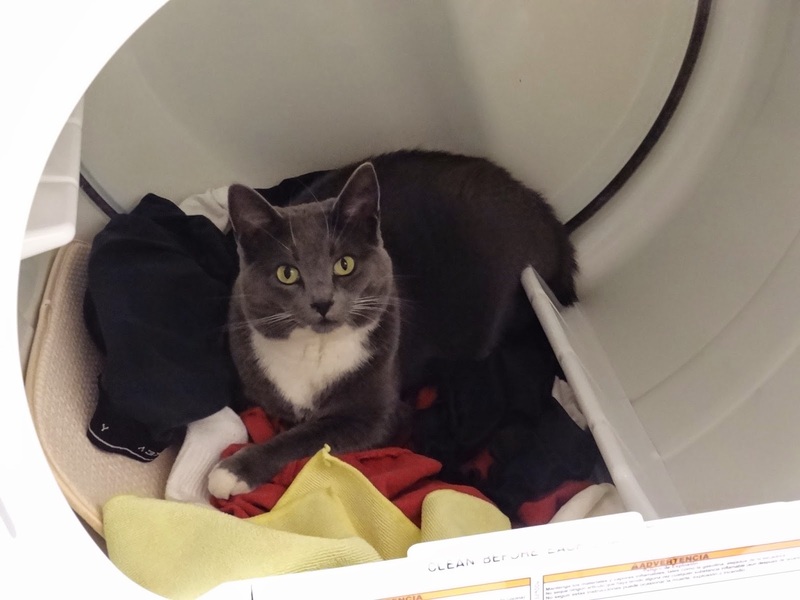 Well isn't Sasha a smart girl to find the warmth and coziness of the dryer innards! :o) Love the entitled look on her face. Candace, Candace...how does your garden grow? Gorgeously! Sounds like a great place to take a nap to me!!! Your garden looks beautifuls and I like the repurposed window there. Your yard is so gorgeous Candace! You now have a window on your world. Our drought has turned our yards into a wasteland. It is so sad. Silly Miss Sasha - she's very pretty! Your garden is just breathtaking and just so beautiful!!! Sasha knows just where to go to get attention... Too adorable. You have the best kitties! Very good idea Mr. Squash had repurposing the window and the garden is very lovely. Your gardens just keep looking better and better. Oh, that Sasha! Not surprising at all that she'd find that warm spot. They're all alike. Frankie does the same and he'd satay in there all day if I'd let him. Your gardens are gorgeous and I can't wait to see how you and Mr. Squash turn this old window into a real piece of yard art. 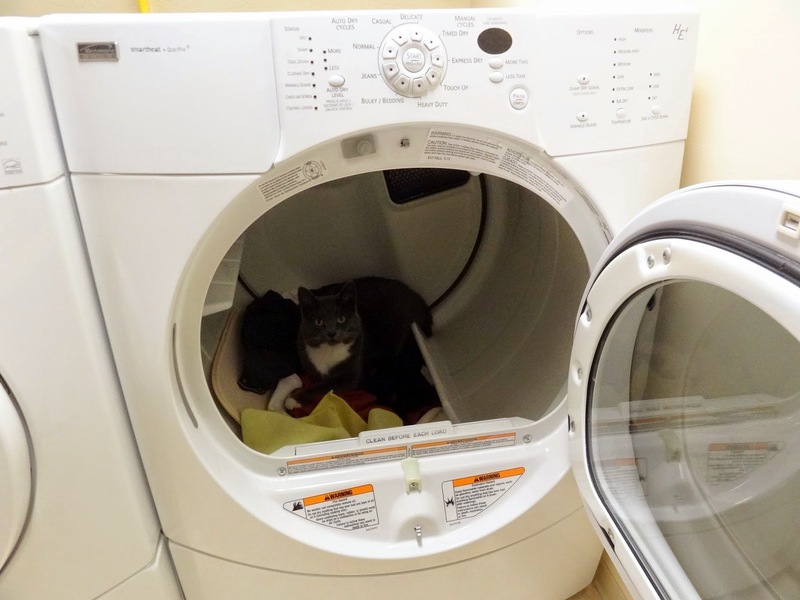 My white with orange tabby markings has crawled into a warm dryer full of clothes before. He used to bury himself in baskets of clean towels. You'd start folding and all of the sudden there was the cat! wow! you really need to keep an eye on Sasha! A former manager of mine had the same thing happen with one of her kitties. Except she didn't notice, shut the door, and turned on the dryer! I have to say she looks cute in there though! Sasha is adorable. She reminds me of the cat I once discovered in my refrigerator happily eating tuna salad. I was checking the dryer, taking out and folding the things that we dry. I shut the dryer and started it back up. Somehow, my cat had gotten in when I wasn't looking. Luckily, I didn't go back upstairs. My kitty and I were pretty shook up, but we both survived. So just make sure you don't do what I did!! Miss Sasha looks so regal in the dryer. Squeak here I think is the canine version of her- a heat seeking missile especially in Winter. Your garden is so beautiful! It is good that there is the fence behind the old window and the Wigela in front of it so birds don't see too much reflection of the sky and try to fly through it. Looks just great! What a perfect picture of Sasha - she is just beautiful. And obviously she's no dummy - that's a nice, clean, soft, warm place to sit! Mr. Squash is no dummy either - love the window idea. 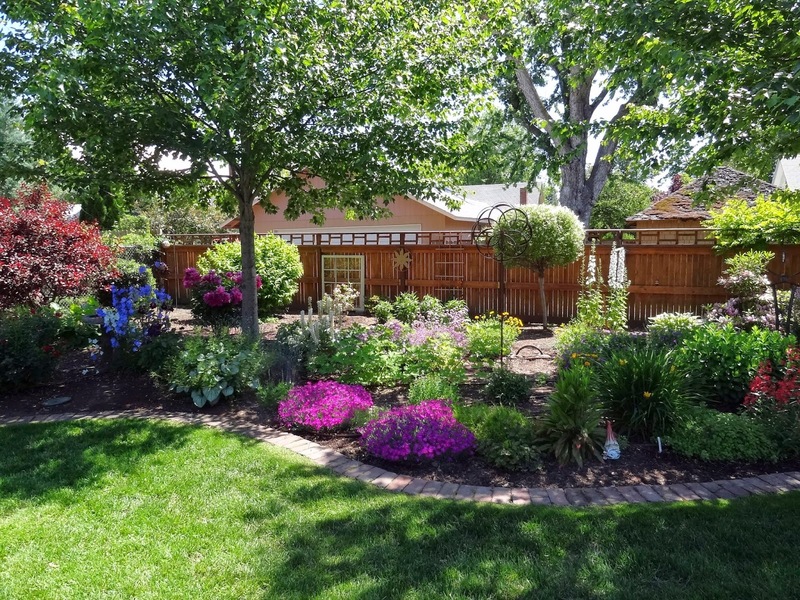 Your yard looks amazing, as always! Hope you are healing and starting to feel better! Ah, yes! One of my kitties got a free ride one time. Couldn't think what that bumping was. When I opened the door, I thought surely I had killed her. But she staggered out and lived happily ever after. I'm sure that experience must have used up one of her 9 lives. she looks so cute. good thing you looked before you shut the door. Oh, my kitty in the dryer is a scary thought! Glad she provided a laugh, though :) Your garden is so gorgeous. All your hard work sure does pay off when the sun shines and the days are long :) Love the window! I'm thinking of hanging a mirror on my fence for some man made interest. I like that contrast! I am so behind in my blog reading, it might be that I can't focus for more than a minute or two of late. That picture of Sasha is just precious. Love the back yard - looks like a gorgeous park to me!! Hugs!! Yikes! That brought back a bad memory. My sister's new little kitty got in the dryer and she didn't know it and turned it on. Sad, sad, sad! Your garden is just amazingly beautiful!